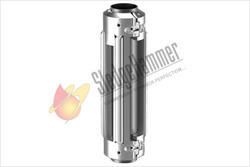 The SledgeHammer's Cable Protectors are manufactured from high integrity carbon steel. Protectors can also be made in a range of other materials including stainless steel and Cast steels. The SledgeHammer's Cross Coupling Cable Protectors are manufactured from high integrity carbon steel. Protectors can also be made in a range of other materials including stainless steel and Cast steels. Cross Coupling Cable Protector is tubing case centralizer which is not only used to centralize (keep standoff) the casing but also to provide protection to down hole casing cables. All Cross Coupling Cable Protectors to protect and support ESP cable, control lines, umbilical lines or encapsulated bundles and injection lines in the well bore for wells completed with artificial lift. 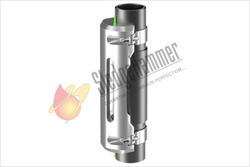 The Sledge Hammer's Non-Ferrous Tubing Centralizer is a tubing case centralizer which is not only used to centralize (keep standoff) the casing but also to provide protection to down hole casing cables. As down hole cables are more likely to get damaged due to crushing between the production tubing couplings and the casing internal diameter, cost the industry millions of pounds in unscheduled work overs and recompletions. But today cable damage seems to be virtually unheard of because of the presence of products like mid-joint protectors, Control line protector, and ESP Clamps etc. Looking for Cable Protector ?